Happy World Water Day! Here are 5 faucets that help you reduce your water consumption by displaying in one way or another the amount of water used the moment you turn on that tap. Poor Little Fish takes the Flower basin one step further and replaces the flowers with fish! This installation aims to make water consumption tangible by playing with the consumer's emotions and thus, making him or her think about saving water. While opening the tap, the level of water in the bowl gradually falls but does not actually drain out. Then it goes back to the same level once the water stops running. 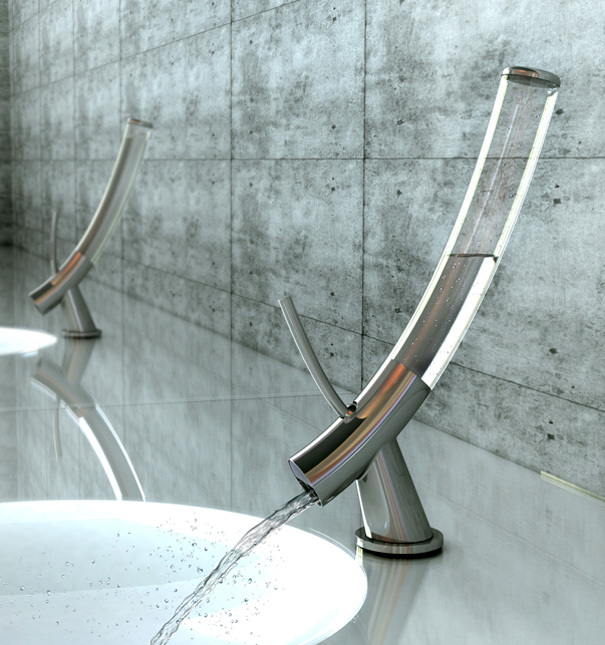 By displaying the water consumption either digitally or emotionally, these 5 faucets help you save water.